In 2004, with the school still in its infancy (the first high school class graduated in 2006), school leadership deliberated on whether or not to emulate the Kamehameha Schools Kapalama (on the island of Oʻahu) campus tradition of an annual Song Contest, where all high school grades levels compete in singing. The decision was made to instead feature the Hawaiʻi Island students in a Hōʻike (presentation) that showcased the students working together, rather than competing against each other. 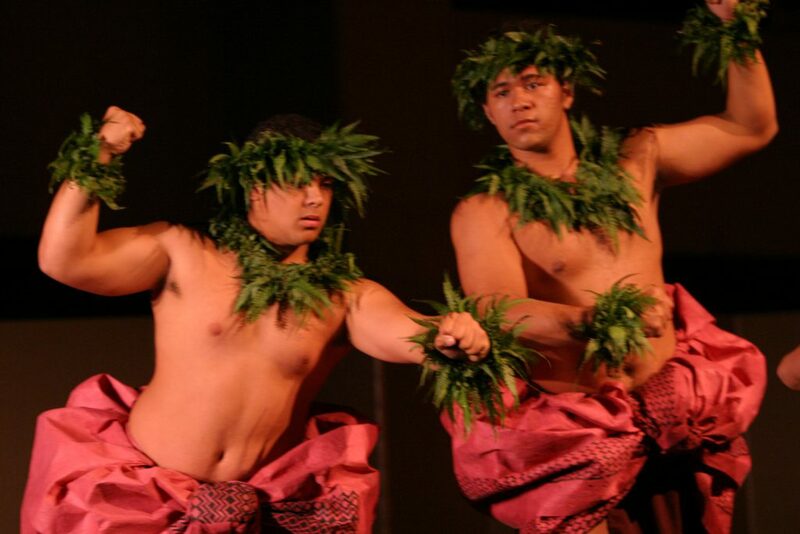 The first Hōʻike productions were staged as dramatic plays, interspersed with song and dance, each year featuring as a theme one of the seven island districts. Teacher Celeste Volivar-Fry and student Laʻi Suganuma present a scene from the first Hōʻike in 2004. Bronson Silva, Ola Tripp, Hulali Kaapana, and Eric Lau do a paniolo (cowboy) dance in Hōʻike 2007. Liloa (Chris Andrews) learns his chiefly duties in Hōʻike 2008. 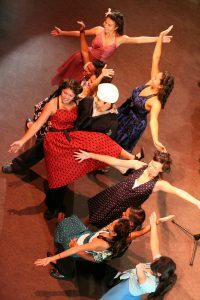 Students auditioned for roles as actors or dancers, and the entire student body participated as singers. Even the teachers were part of the show, performing special hulas at the conclusion of the program. 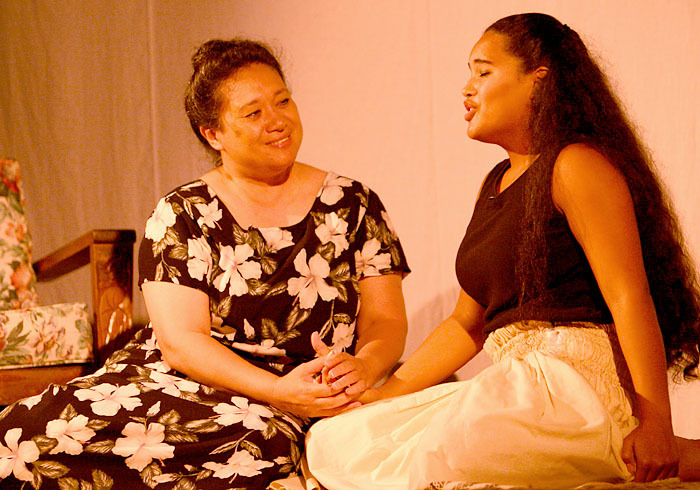 In 2012, the Hoʻike included an opera-within-a-play, featuring senior Kaila Ishii-Manalo as “Kapakakapa Omaka,” a young opera singer in an alternate reality where Hawaii remained a sovereign nation. The opera scene she performed was the death of Kona chief Kekuaokalani and his wife Manono, sung entirely in Hawaiian and accompanied by a small band backstage. Kekuaokalani was killed in battle fighting to defend the traditional social order that had eroded after the death of King Kamehameha the Great. In legendary fashion, his wife Manono took up his spear and fought in his place until her eventual death. In the production, the opera in only incidental to the story and Kapapaka receives her flowers and accolades after her performance and departs after a brief visit with the main protagonists. Manono (Kaila Ishii-Manalo) mourns the death of her husband/chief with an operatic aria in Hōʻike 2012. This scene would become the inspiration to pursue Hawaiian opera as a medium for the 2013 Hōʻike based on the legend of Hawaiian goddess Keaomelemele and her family. The justification being that opera represents a pinnacle of achievement in the arts as it incorporates all of the major performance disciplines at a high level. With the entire student body serving as chorus, and the full force of the high school band playing for the entire duration of the show, Keaomelemele introduced a new art form to a delighted audience. Traditional chant and dance woven into continuous music to tell the story of confidence regained in the face of betrayal and love lost. Costumes designed by science teacher Layne Richards (with assistance from local fashion designer Manaola Yap), created a fanciful world of gods and demigods struggling with the vicissitudes of love and attraction. 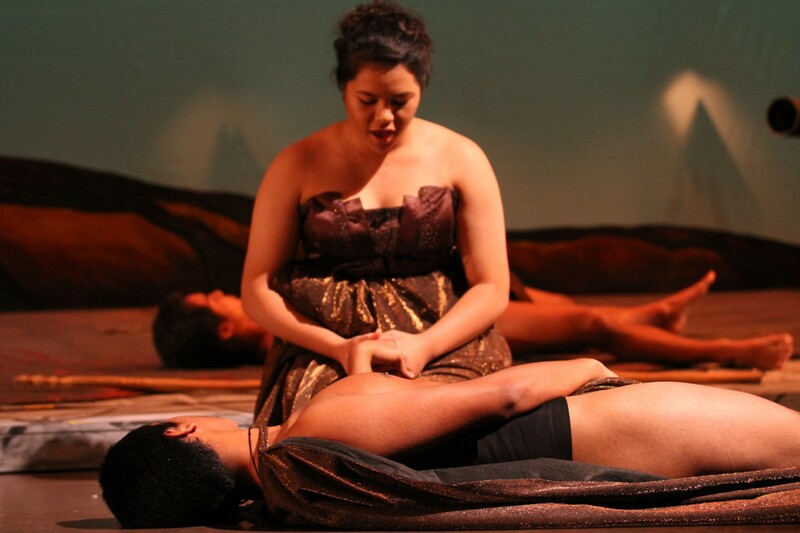 The goddess Paliuli (Kaila Ishii-Manalo) rejects attempts by Kahanaiakeakua (Sam Bader) to reconcile after his betrayal (Hōʻike 2013). In 2014, the death scene of Kekuaokalani and Manono from 2012 was expanded into a full-scale opera, The Battle of Kuamoʻo, depicting the last stand of Kona chief against the forced abandonment of traditional Hawaiian social order. In 2015, Kamehameha Schools Hawaii honored retiring English teacher Celeste Bolivar-Fry (pictured above in Hōʻike 2004) by presenting an original play authored by her. E Paepae Hou ʻIa Ka Pōhaku was not an opera, but a moving tribute to those who fought to bring dignity to the Hawaiian culture after years of neglect. After it was learned that the school had been chosen to participate in the 2016 American High School Theater Festival in Edinburgh, Scotland, the decision was made to prepare another opera for Hōʻike and to take to the festival. Kapepeʻekauila (Cyrus Johnasen) and Hina (Hoku McKeague) in the original dramatized version of the legend of Hina in 2011. 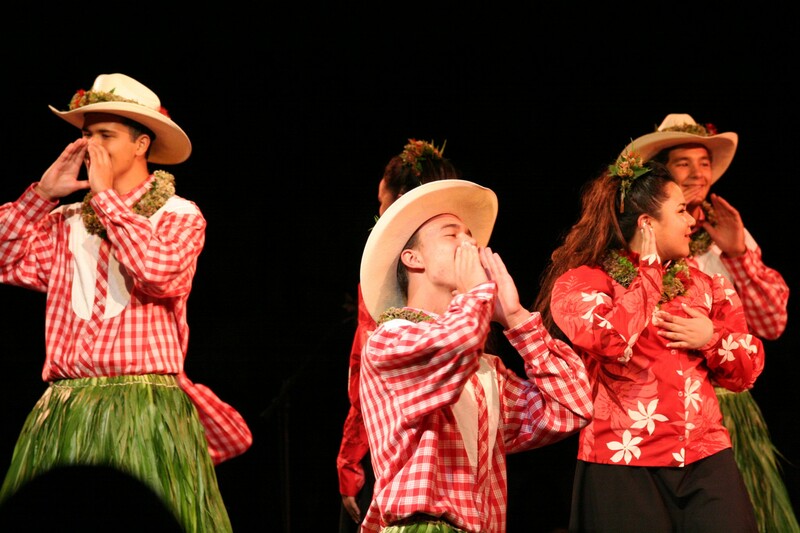 The story of the 2011 Hōʻike, about the legend of Hilo chiefs Hina and her sons Kana and Nihau was reimagined as a full scale opera, the longest yet attempted by the school. Clocking in at nearly three hours, the epic tale included a large cast of singers and dancers, many of whom would go on to represent the school in Edinburgh. The touring version would be only half as long, and the cast reduced to nineteen to meet festival staging and timing requirements. With Hāʻupu, the third opera produced by the high school, Kamehameha Schools Hawaii has set a new standard and has established Hawaiian opera as a medium of choice for the students of the Hawaiʻi Island campus.